Since my cooking style is simple and healthy, it is so important to me that I use the best and freshest ingredients whenever possible, because I use relatively few items. 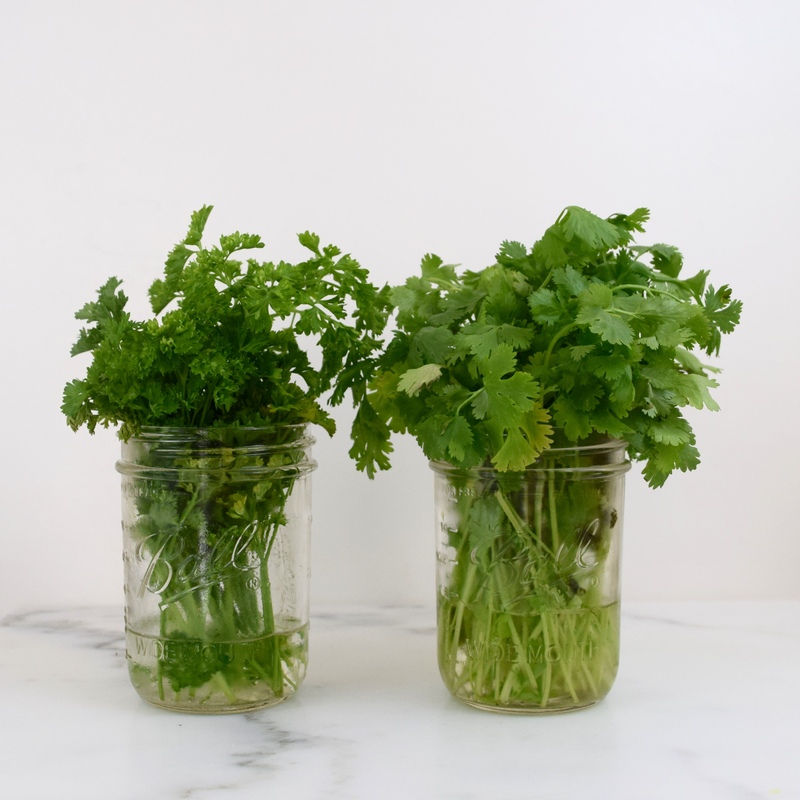 In the past, I have found it challenging to keep cilantro, parsley and basil last longer than one week. For months I have been trying out different methods of storing fresh herbs. I even purchased a container that uses a special carbon filter to absorb the gases. 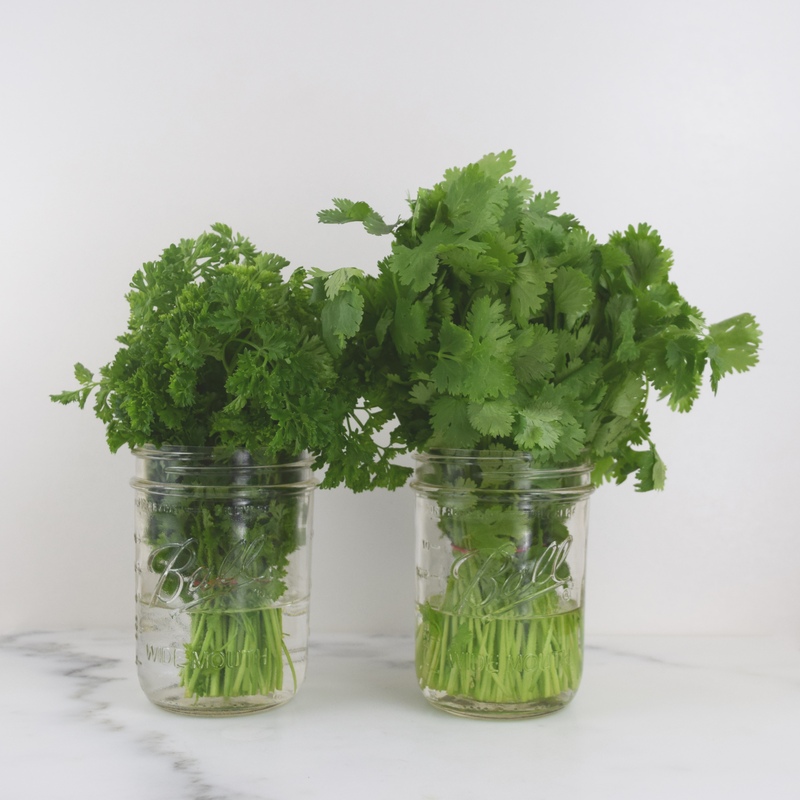 I am pleased to tell you that the best and cheapest method I’ve found is to store cilantro and parsley in “covered” Mason jars with some water! I purchased my herbs on September 5th. When I got home, I trimmed the ends and added 1½-inches of cold water to the Mason jars. Then I covered the herbs and the jars with the plastic bags that they came in and placed them in the refrigerator. Every couple of days I would replace the water. The picture above was taken on September 26th, exactly three weeks. The cilantro is starting to turn yellow, but still good enough for me to make my cilantro pesto! 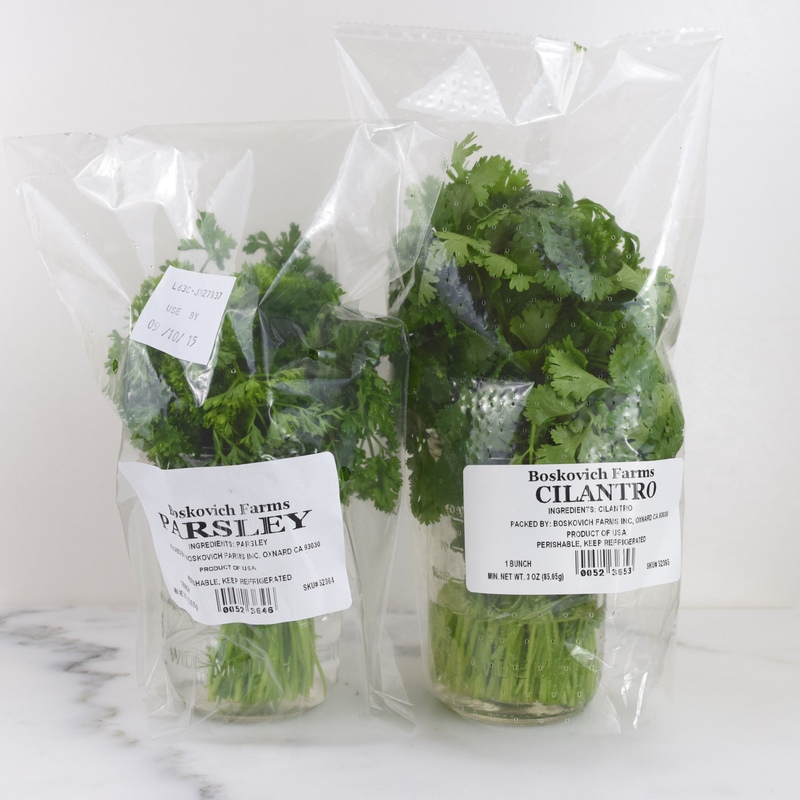 Since I don’t have my own little herb garden, indoors or outdoors, this is probably the best way to store these two particular herbs. Unfortunately, the lighting in my house is not conducive to growing herbs indoors. Growing outdoors is challenging, because I live in the desert. But next spring I’m going to try to grow them in some kind of self-watering container, so that I will be able to grow my own parsley, cilantro, basil and mint! I hope that this post will help some of you foodies out there! Let me know it you figure out something for chives! I’m still working on how to keep basil longer! Lynz, I will let know when I figure how to make basil last!